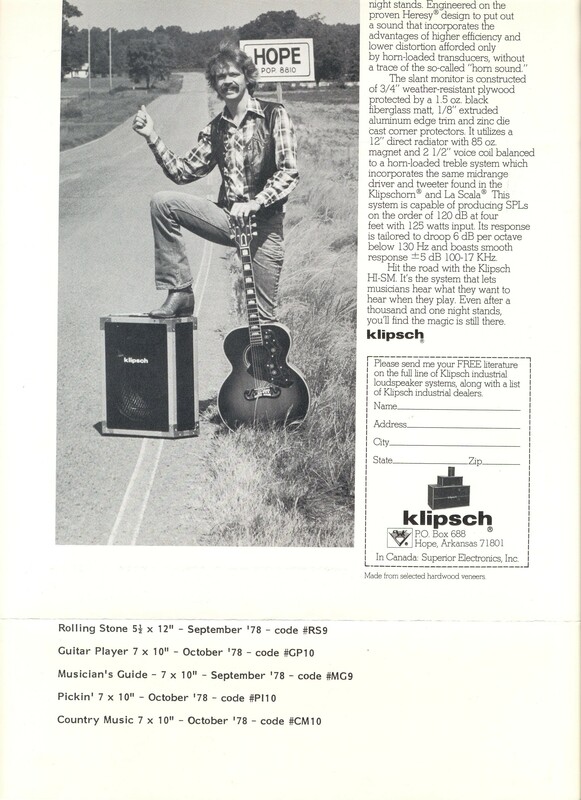 From the inception of Klipsch & Associates, the focus has always been on live music. 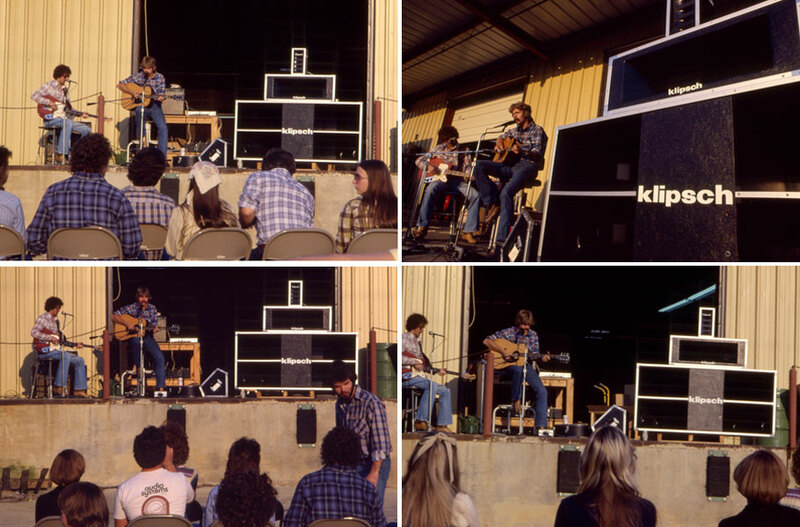 Klipsch sponsored numerous concerts for employees in the mid-70’s, often shutting down factory operations at 2:00 p.m. and breaking out a keg (those were the days). In late 1977 this concert featured the new MCM concert speakers and monitors. Terry Williams, an up-and-coming Hot Springs, Arkansas guitarist is at the microphone. It didn’t hurt that he was a good friend of then-president Bob Moers. Terry was featured in one of our iconic “industrial speakers” print advertisements in 1978. What most people never realized is that Bob Moers’s left hand can barely be seen holding the Hope population sign in the photo, just below Terry’s left elbow. Tragically, Terry died of cancer a year or two later. 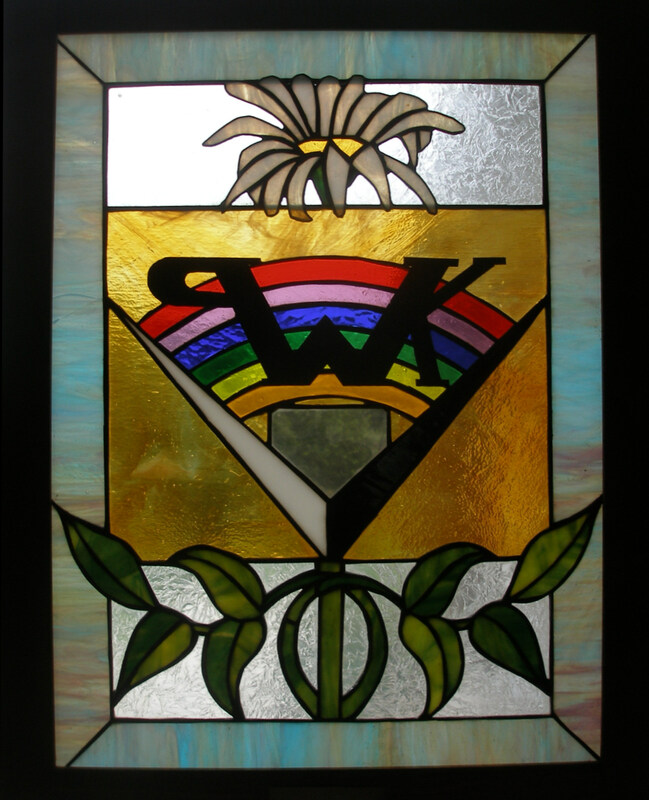 Prior to his death he commissioned a stained-glass window of the PWK logo for Bob. The “so-far-recognized” employees in the photos include Curtis Putnam, Engineer, Jack Fountain, later to be V.P. of International Sales, Judy Harris, Bill Gibson, and Sandy Cox. Feel free to identify others and let us know!